Today is a weekend full of excitement! 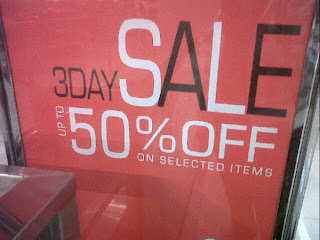 Most of us just got our salaries and because it’s end of the month, various establishments are up for their all-out sale! 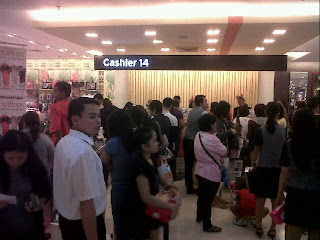 As for me, I went to the all-new SM Cubao Department Store! In all honesty, this is my first time to enter SM Cubao Department Store that’s why I’m kind of surprised to see that they offers more than just a department store! The all-new SM Cubao now has so many stores to enjoy roaming and shopping! And for all tech savvy mall-goers, the mall now has CyberZone equipped with Wi-Fi internet connection and tech-related outlets! Located within Quezon City’s prime area – Araneta Center – SM Cubao Department Store is easily accessible and nearest to a wide range of entertainment hubs. I was able to interview two of the happy shoppers of SM Cubao, Ms. Sheila Pueblo and Mrs. Myrna Tupaz. In an exclusive interview, the two admitted that they are frequent shoppers of SM and that they really love to shop during 3-Day Sale events! ‘Very happy kami and malaki talaga ang tulong,’ said Mrs. Tupaz when asked about her experienced with SM Cubao’s 3-Day Sale event. The two happy shoppers bought numerous bed foams and mattress pads. Look at how they smile. They really are happy SM Cubao Shoppers! ‘Ito ang hilig ko talaga. Marami kaming paglalagyan talaga ng mga ito. Kaya dinamihan na namin. Kasi, may additional pa naman kami sa SM Advantage Card na 10% discount. Sayang din naman,’ answers Mrs. Tupaz. For those who are not aware, SMAC card holders will get additional 10% discount on top of the discounted items for the first two hours of the first day of the 3-Day Sale in SM Cubao. This explains the big number of shoppers going in and out of each floors of the mall. 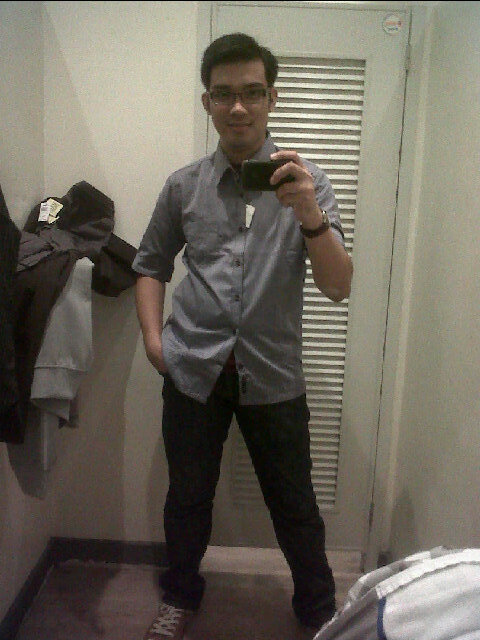 I, myself, was able to experience the exciting offers of SM Cubao Department Store. 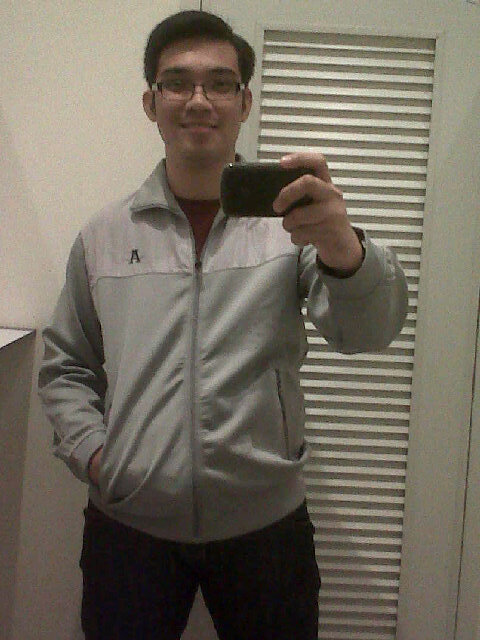 After touring the mall, I decided to buy formal wears for my new work which will start this Monday. 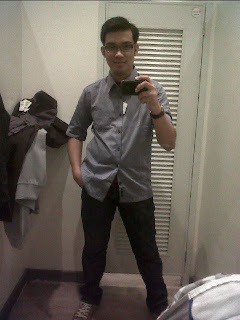 Would you believe that I only spend PhP1,699.75 for my top, slacks and a jacket? Yes, I did! This is from Wharton. I only got it for PhP 500! See! Originally, this is priced at PhP899.00! And then, I also bought a jacket worth PhP 800 from Arrow. Originally, it is priced at PhP1300! And lastly, I bought a brown slacks from Main Street at PhP 399.75! 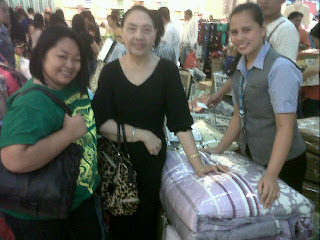 I really had fun shopping at SM Cubao Department Store! And I know, my fellow bloggers did too! Look at our photo which was taken during our lunch time. So, again, for those who wanted to value their money, go to SM Cubao Department Store and enjoy shopping with their 3-Day Sale event! Hurry! The last day would be tomorrow, Sunday, October 3, 2010!